After over 7 years as Chair of Ashbourne Hilltop School's governing body, Rev Tim Morris has resigned, and Mr Gordon Hart has taken over as Chair. To thank Rev Morris for all of his work and commitment over the years, the children and governors presented him with a framed painting of an Ashbourne street scene. 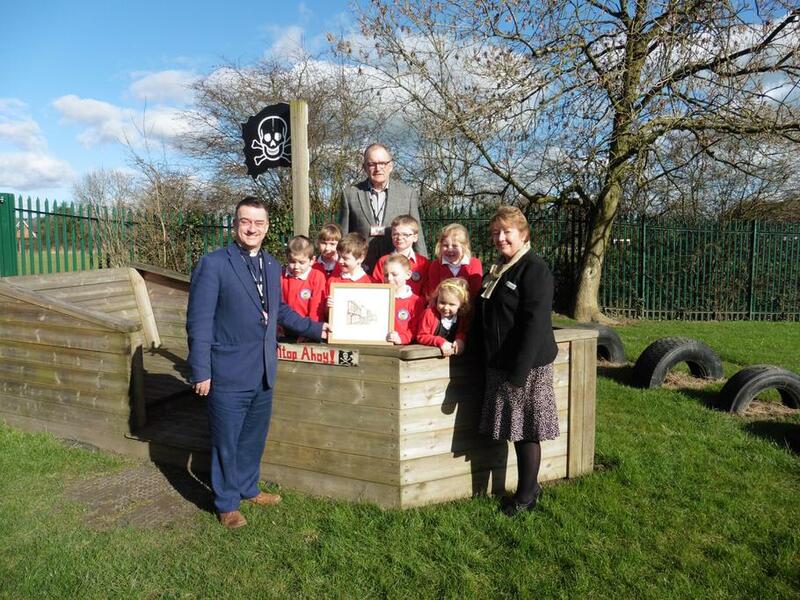 Pictured below are Mrs Jaques, Rev Morris and Mr Hart, along with some of our children, during the official presentation.